This guide demonstrates how to use the Panel component. Name string ‘panel’ + index suffix Unique name the component. Text string ‘Panel’ The header text displayed by the panel. AllowCollapse boolean false Allow the user to collapse the panel. Icon string null Panel icon. 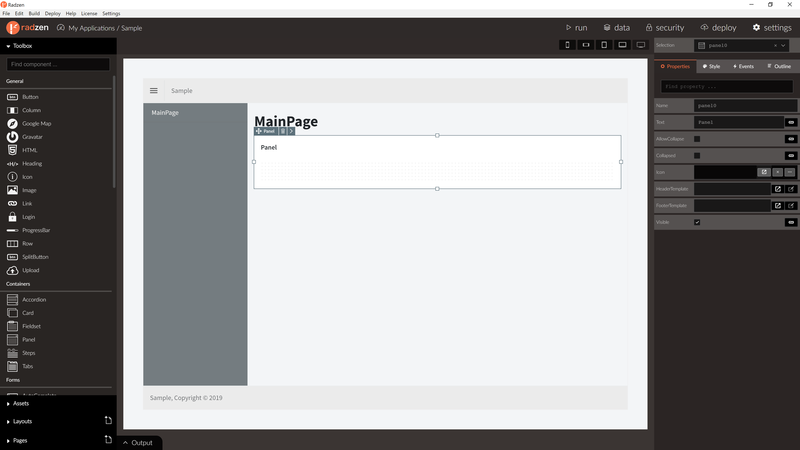 HeaderTemplate string null Panel header template. 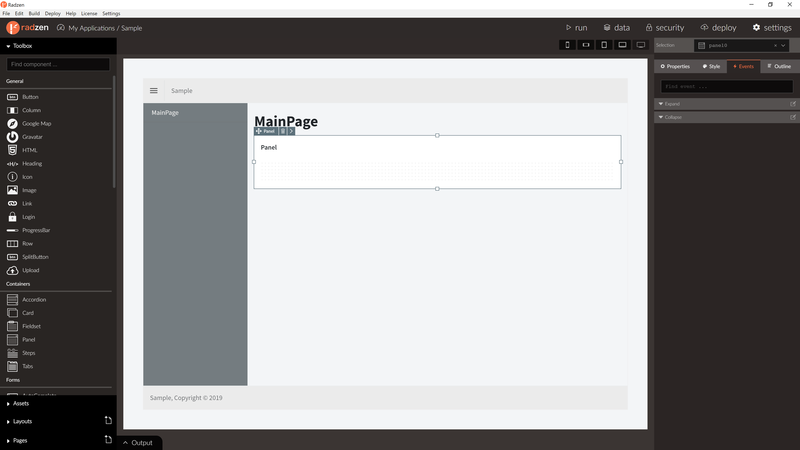 FooterTemplate string null Panel footer template. Collapse event null Fired when the panel collapses. No event arguments. Expand event null Fired when the panel expands. No event arguments.